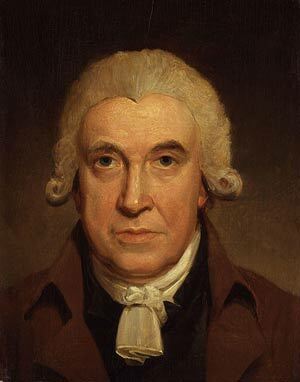 James Watt (1736–1819) was a Scottish inventor, mechanical engineer and chemist. He is famous for developing a separate condensing chamber for the steam engine. This invention greatly improved the efficiency of the steam engine and played a considerable role in advancing the role of steam engines in the Industrial Revolution. He was born in Greenock, Scotland on 18 January 1736. Initially, Watt worked as a maker of mathematical instruments but later found himself working with steam engines. Around 1764, Watt was given a Newcomen steam engine to repair. He realised it was very inefficient because energy was repeatedly being used to heat the cylinder. 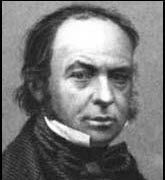 He decided to try and invent a more efficient alternative and he worked on a model which caused steam to condense inside a separate chamber apart from the piston. He soon had a working model and by 1775 had a patent. Though Watt was not adept at business, he was able to form a successful partnership with Matthew Boulton. Boulton & Watt became a successful company leasing the design and later producing these new steam engines for a variety of purposes from mining (especially Cornish tin mines) to cloth and wool manufacture. Over the next six years, he made a number of other improvements to the steam engine and the business thrived as orders flooded in. Watt also made other important discoveries and inventions. These included a copying machine and an improved production method for chlorine, a bleaching agent. After his fortune enabled him to retire, he pursued a wide variety of interests from improving oil lamps to measuring distances with a telescope. He died on 25 August 1819, aged 83. The development of an efficient steam engine transformed industry and society. It helped Great Britain become the world’s first industrialised society leading to an unprecedented pace of economic growth. 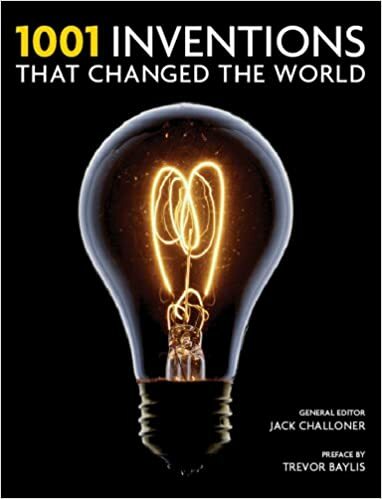 Industrial Revolution (1750s to 1900) The great inventors, entrepreneurs and businessmen of the industrial revolution. Also includes the social activists of the era, such as Charles Dickens. A measurement of power SI, the Watt, is named in his honour.